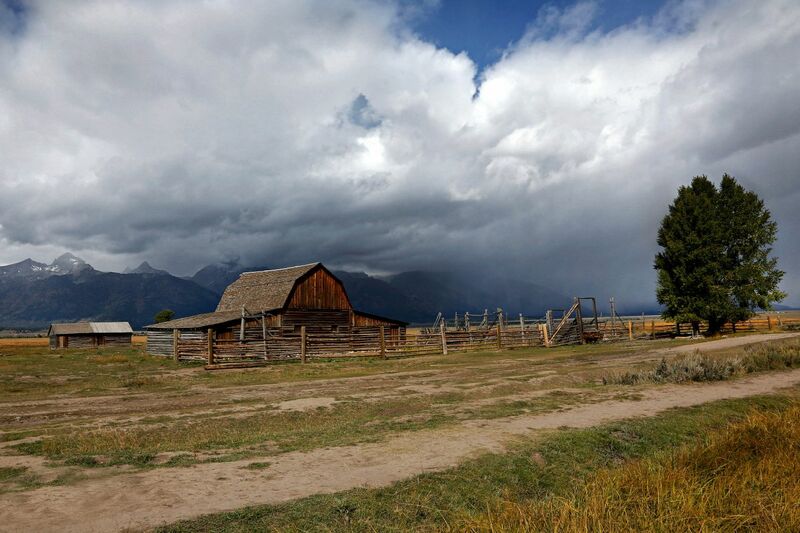 Storm over the Mormon Barns, Grand Teton is a favourite shot of this iconic area. The Grand Teton seem to attract these storm clouds and if you can get there early in the morning with these clouds around then you're on to a winner. The area is stepped with historic interest with plenty of photographic material in every direction. You may not be on your own here as this is a very popular place but well worth a visit.